Visitors to this site who are familiar with Zen Buddhism will recognize the echo of a famous Koan in the title of this page. Zen Koans are a traditional form of spiritual inquiry designed to test understanding of Buddhist discipline. "What is the sound of one hand clapping?" is perhaps the most famous question. 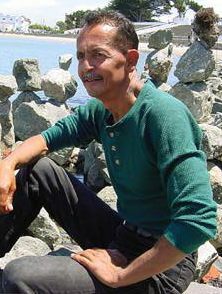 Legendary San Francisco balancer Ron Divino suffered what he believes is another sort of test, but one which also explores the depths of his faith and his understanding of it. 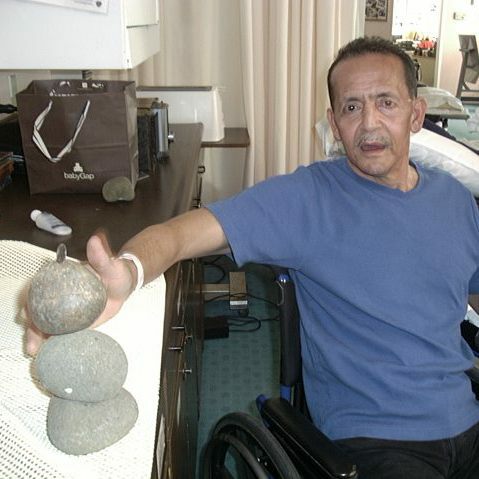 He had what has been described as a "disabling" stroke, which left him without the use of one of his hands. 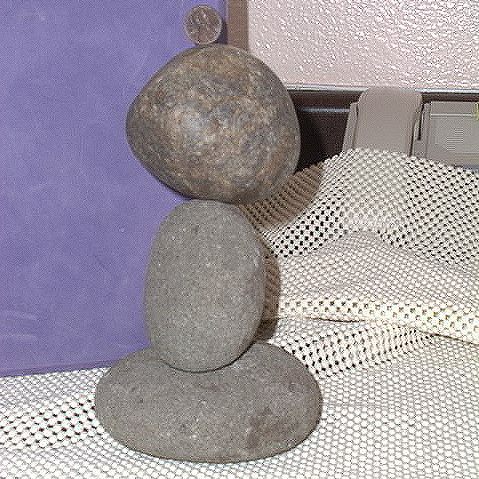 A hand that could, with its partner, lift heavy rocks and place them in perfect balance, tip-to-tip. Hands working together, in balanced strength. And even if the sound at first is one of rocks falling, he will persist. And perhaps his response to his test will be the same as the one a Zen monk might give to the traditional Koan if it is asked of him. Neither of them will give up, of course, until they have their answer. 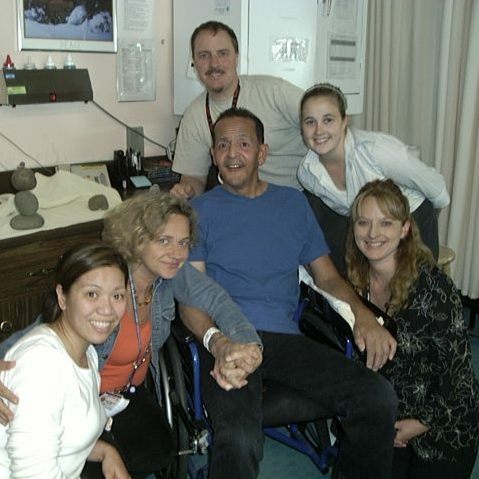 These photos of Ron as he practiced his rehabilitation were taken by Dawn Fitzpatrick, MSW, at the Seton Medical Center Coastside in Moss Beach, California.